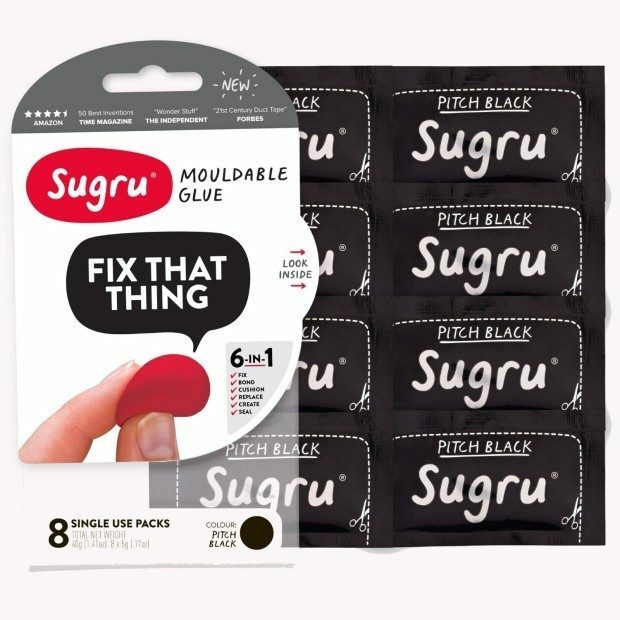 Sugru Moldable Glue Only $16.21 (reg $22)! You are here: Home / Great Deals / Amazon Deals / Sugru Moldable Glue Only $16.21 (reg $22)! This stuff is Fantastic! Order the highly rated Sugru Moldable Glue for Only $16.21 (reg $22)! Sugru is the world’s first moldable glue that turns into rubber. With its ‘6-in-1’ formula, it is perfect for any of your projects: it can fix, bond, cushion, replace, create and seal! Self-setting rubber, formed by hand and cures at room temperature overnight. Use like modeling clay to repair, modify or form almost anything. Please see individual Mini packs for use by date. Use within 6-18 months. Store sugru in the fridge to double its shelf-life!Comes with 8 packs of 5 grams each.